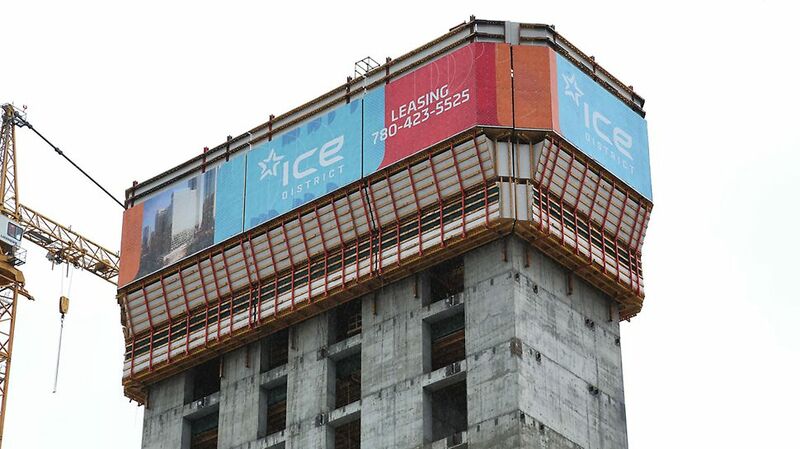 The project consists of various elements, each of which represents a very large scale development in its own right. 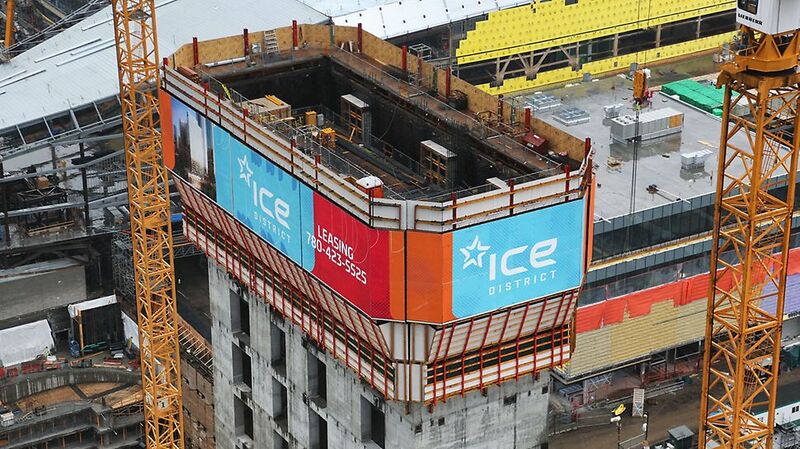 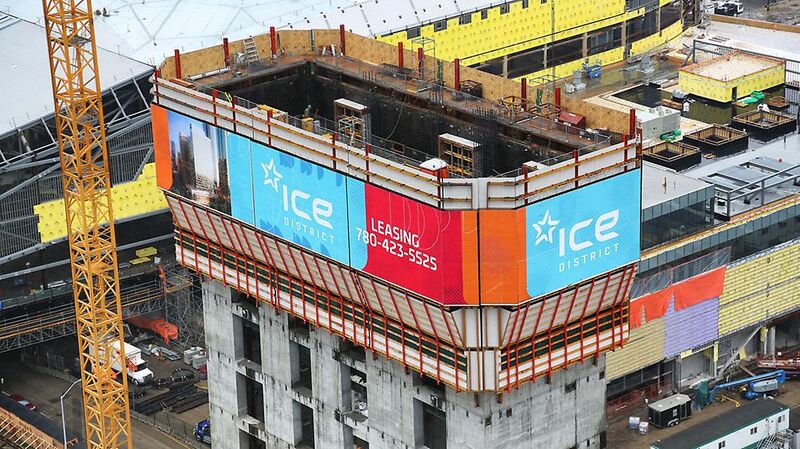 The structures making up ICE District are a 27 storey office tower, Edmonton Oilers new hockey arena (Rogers Place), and a 115,000 m² parkade (covering a complete city block) which includes a 4 Star Hotel, condominium complex, and commercial offices. 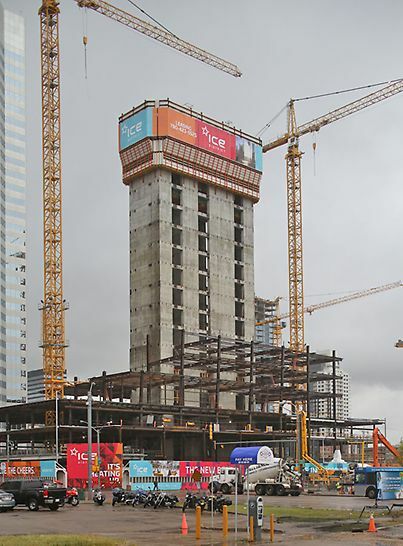 Towers A and E, at 60+ storeys will be the tallest buildings in Edmonton and will also be among Western Canada’s tallest. 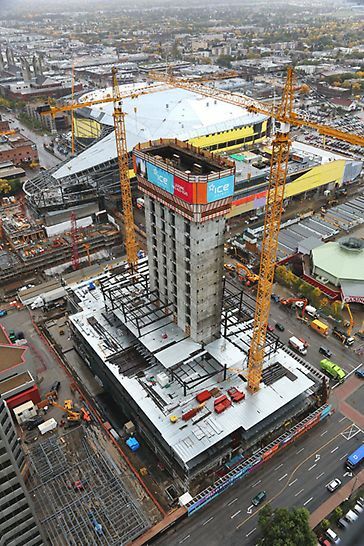 The expanded development includes various support structures such as The Winter Garden, New Casino and a community hockey arena. 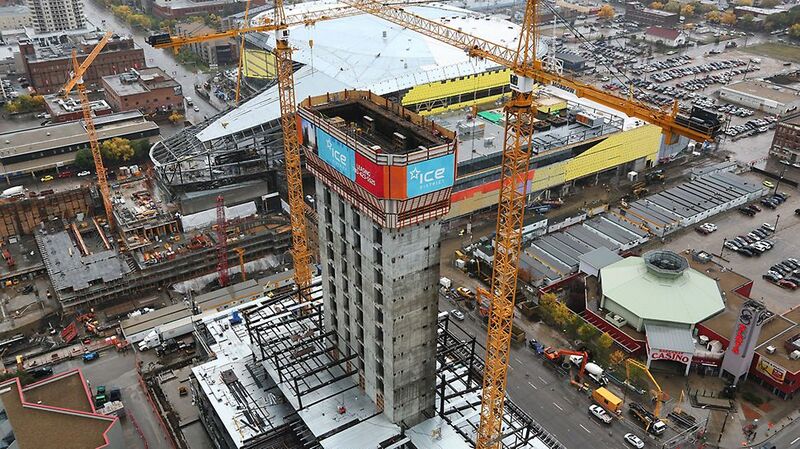 PERI’s Engineering team worked with PCL to define project requirements and develop a suitable formwork concept. 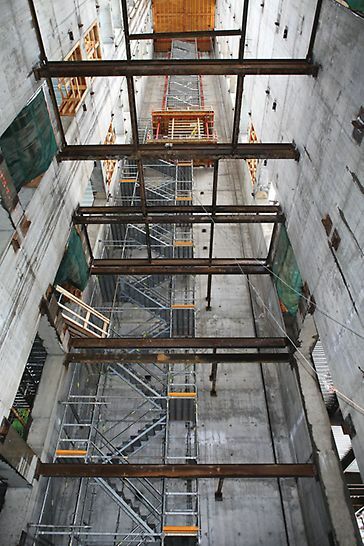 For the parkade areas, SKYDECK provided an optimal solution; the lightweight components, in conjunction with the SKYDECK Drophead prop head, allowed for quick erection and striking of the material resulting in quick turnaround times for each slab section pour. 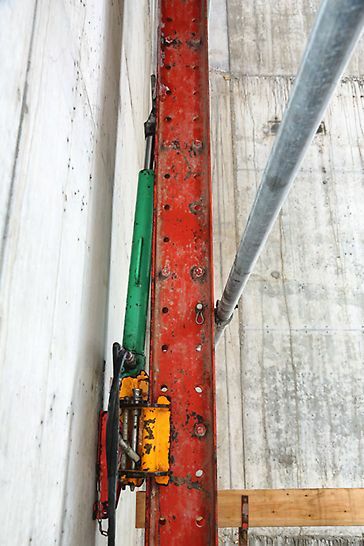 In total, 11,150 m² of SKYDECK was in use at the peak of operations. 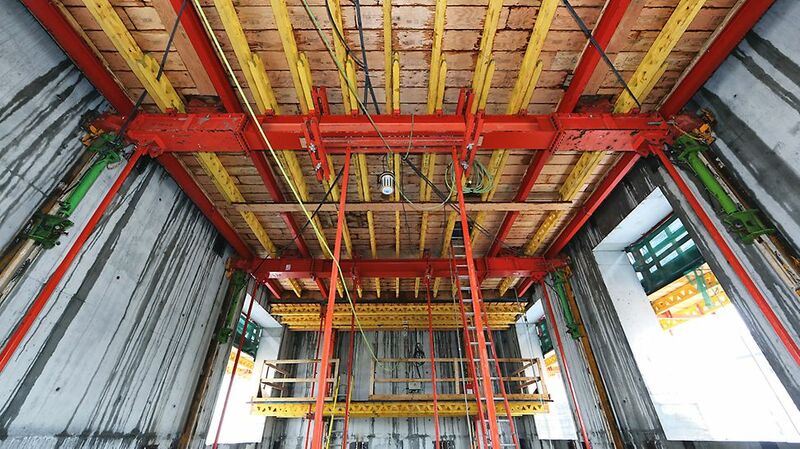 Due to the large amount of equipment required one-site, PERI’s Demand Planning team worked with the PERI head office in Germany, PERI offices across Canada, and the contractor to ensure timely deliveries of material. 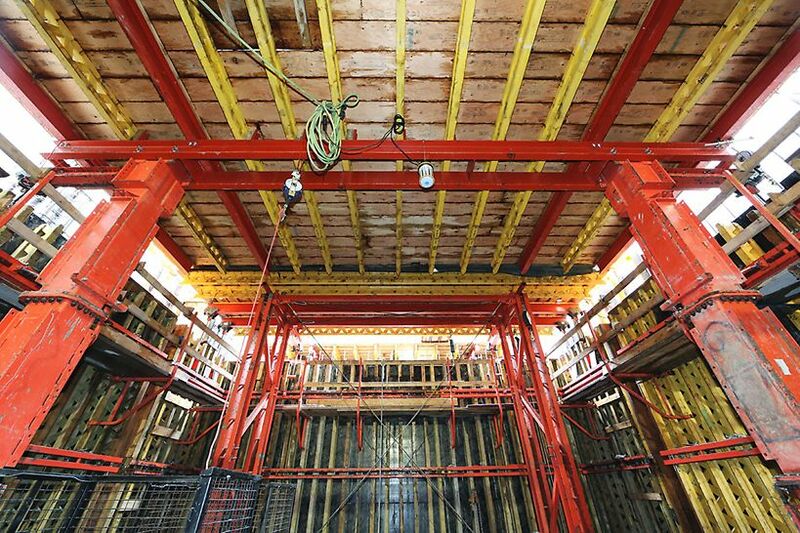 As PERI could guarantee the delivery of material, the customer was able to plan and program work to the most cost-efficient schedule. 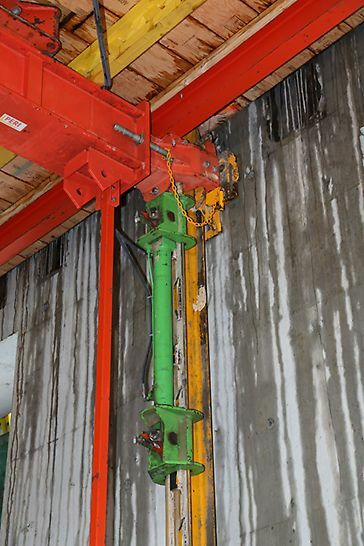 For foundation walls, shear walls and small columns, TRIO provided a versatile solution where material could be cycled between various elements of the project allowing high system re-use.